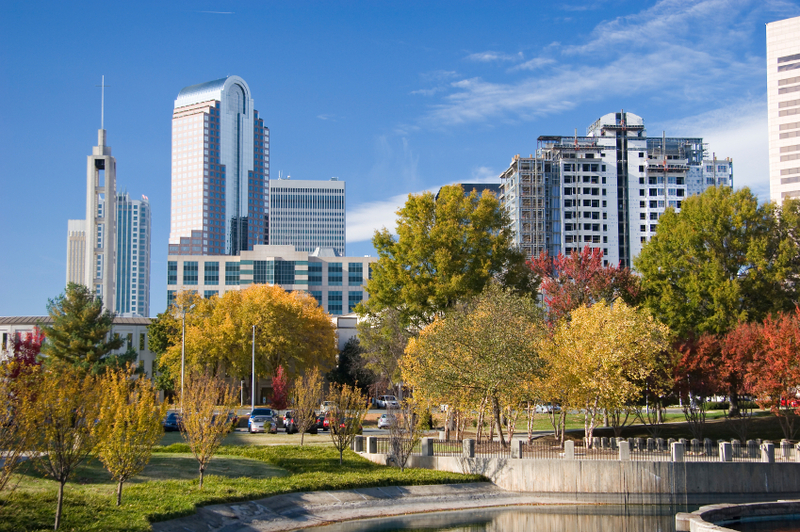 Charlotte, the “Queen City” of the South, is one of the best cities for relocating to a better life and opportunity. It has a lot to offer as the nation’s second largest financial center and a major location for over 80 foreign corporation’s US or regional headquarters. Charlotte is one of the fastest growing metro areas in the country (2nd to Austin, Tx with Denver 3rd), and registers a cost of living index of 95.7, 9th lowest among the top 40 metro areas. As a major hub for American, the city has direct flights to numerous US metropolitan cities and International capitals around the world. For more on Charlotte, check out the following links: Click here for the Official 2017 Charlotte Visitors Guide. Another important resource is the Visit Charlotte website for travel and attractions. Zip Code Maps, Demographics, Cost of Living, City Map, Chamber of Commerce. We have divided Charlotte into 7 areas, each starting in “Uptown Charlotte” and fanning outward in a pie shaped form for each with the point in the center of “uptown”. We have described each below to give you an idea of the perimeter of each. Two featured area are also added below, Mountain Isle Lake, and Lake Wylie using the new polygon mapping system. You will be able to search one or all the areas at one time on the advanced search page. Uptown – The area is called Uptown Charlotte at the intersection of I77 and I277. The residential areas are within the center of the Interstate Route #277 loop that acts as a beltway around the core area of town where financial giants, Wells Fargo and Bank of America, have national headquarters within walking distance. It’s all about living, shopping, and working close by. Zip Code(s): 28202. North – This area runs north up I77 from downtown Charlotte to the south end of Huntersville at exit 23, East over to the University (UNCC). Zip Code(s): 28206, 28216, 28262, 28269. East – This area runs directly East of the Uptown area to the Cabarrus County line then SE along the county lines to Albemarle Rd. then west on Albemarle Rd (#24 and #27) and Central Avenue. Zip Code(s): 28204 (Elizabeth), 28205, 28207, 28212, 28213, 28215. South – The area runs from Uptown (the point) South in a pie shape to the Union County line. Zip Code(s): 28203 (Dilworth), 28207,28209, 28210 (Quail Hollow), 28211, 28226 (Carmel), 28270, 28274, and 28277 . Southeast – The area runs from Uptown (the point) Southeast in a pie shape between Providence and Independence Blvd. to the Union County line. Zip Code(s): 28270, 28211.